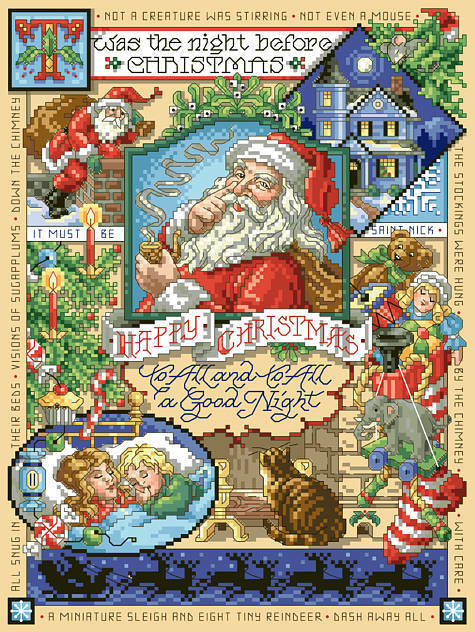 'Twas the night before Christmas, and you know the rest! 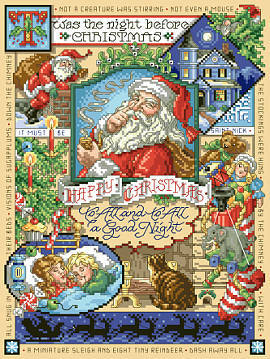 This whimsical design with Santa ready to disappear up the chimney from Sandy Orton will delight both young and old. Contents: Stitch Count 122w X 167h, Finished Size on 14-ct 9" X 12-1/4"